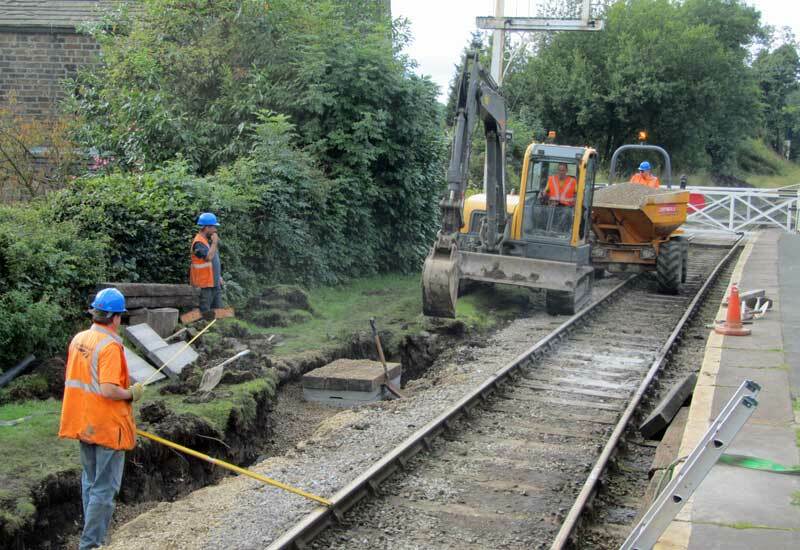 Week commencing 14th September was earmarked for the Railway’s annual Civil Week when major infrastructure work is undertaken requiring closure of the Railway to passenger services for the whole week. This year the work was to take place at 2 sites – Oxenhope Loop Bottom Crossover, i.e. the points at the north end of Oxenhope Loop and at Oakworth. At Oakworth the work was to install drainage for Oakworth Level Crossing and track opposite the station platform which involved a small excavator and a digger and a small band of willing(?) volunteers. Society Director, David Petyt was on duty and give us this insight into the ‘gang’s’ work for the week, and his own less physical, but extremely important role, in proceedings. 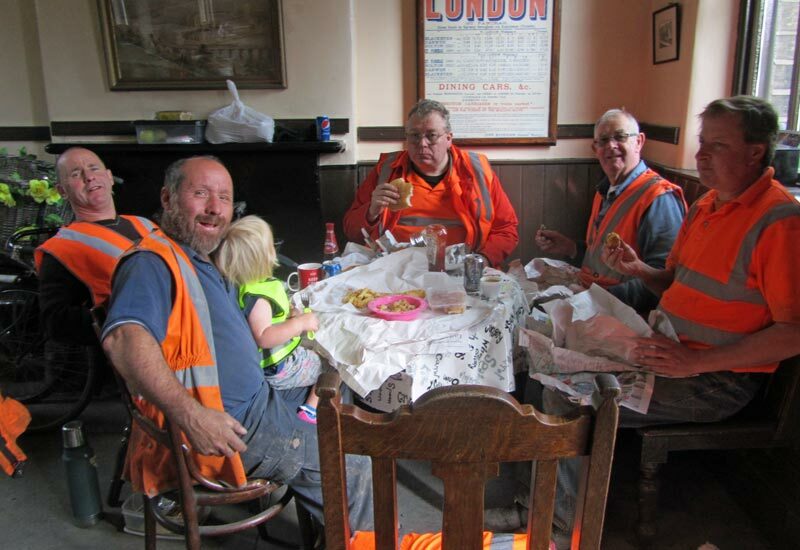 Fish & chips keep the lads happy! However before the last few inches of the trench were infilled, David performed the most important task of all, planting the daffodil bulbs. Look out next Spring for a magnificent display of daffodils opposite the platform. The rumours that David had the team digging the trench just so he did not have to get his own spade out to plant the daffodils is, he assures us, totally without foundation. Hopefully a report on the Oxenhope work will follow shortly.